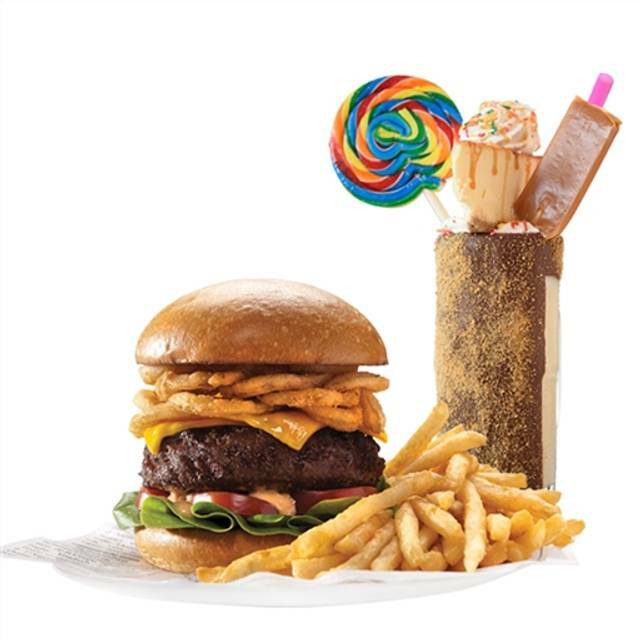 Sugar Factory fans, brace. 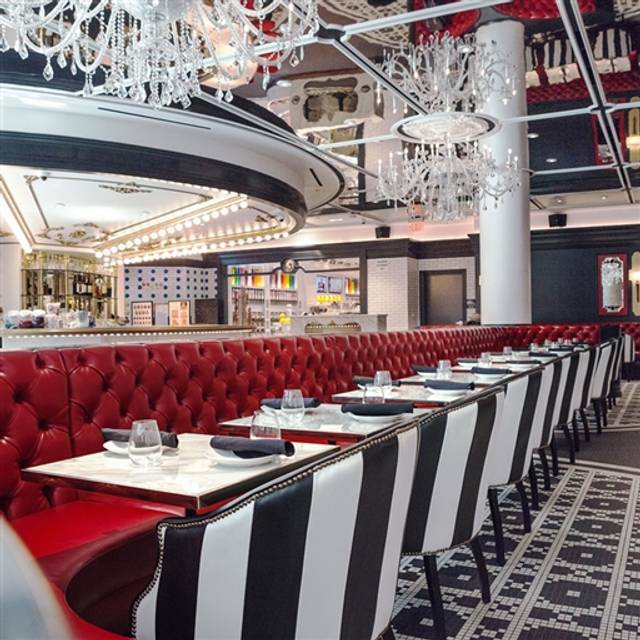 The restaurant version of the celebrity-friendly brasserie is about to return to the Strip in February! 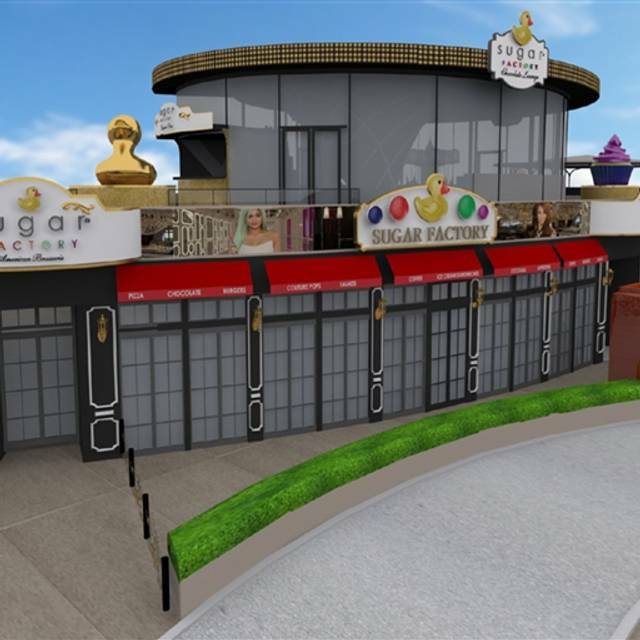 Sugar Factory American Brasserie plans what owners describe as “its largest and most lavish restaurant and retail complex to date” at Fashion Show mall. 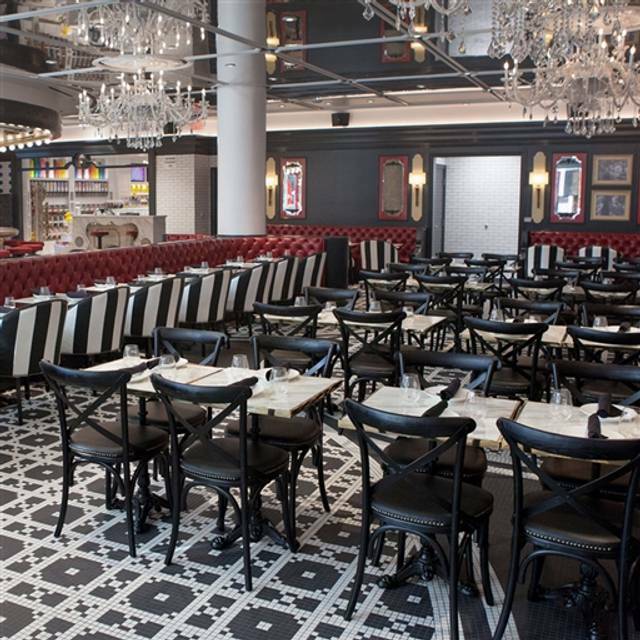 The main dining room for this Sugar Factory American Brasserie takes up 12,500 square feet with an additional 3,500 square feet for the retail store, all on the first level. While candy has always been the calling card, this location will debut the brand’s new chocolate line. Guests can also get homemade ice cream, gelato, freshly made doughnuts, fudge-covered pretzel sticks, milk chocolate-covered Oreos, Rice Krispies treats and more here. Went here for the first time to celebrate my birthday with my husband and kids while on a trip to Vegas. Had wonderful service from Shawnee and it was such a fun and memorable experience all around. Definitely a special occasion type restaurant, but felt worth it for celebrating my special day! Pro tip: no kids menu but my two ordered off the appetizer menu. All portions were huge regardless! It was super stuffy and hot in here. Food was good but not worth the price. Glad to say I ate there, but would definitely skip and go somewhere else. Especially for a birthday. I booked a table for my teenage son’s birthday. Our waiter seemed overwhelmed. When another waiter came and asked if he needed help he yelled at her about someone else not doing their job. We kept asking for our drinks. $39 per drink. We waited for over a half hour and no drinks. Our food arrived before our drinks. 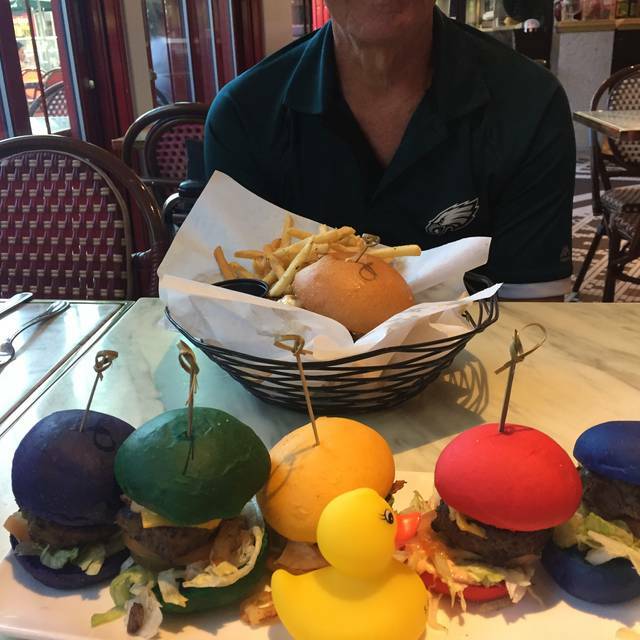 $25 rainbow sliders were dried, not tasty and didn’t come with fries. 2 pieces of colored mini roll with overcooked meat in the middle and a slice of pickle. When we booked I asked for something special for my son’s birthday. Nothing done while others were getting a dessert with big candle and song. Got the check and waited 15 mns for the waiter to come back with the credit card. Very expensive overrated and poor service. 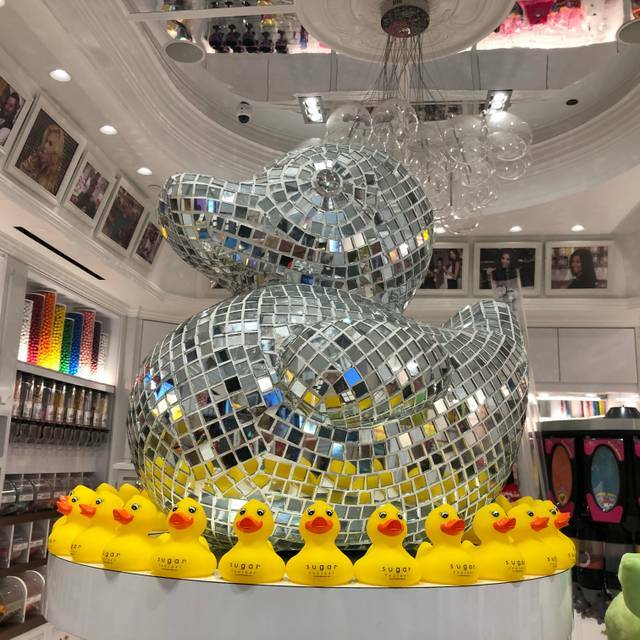 The family and I went to Vegas for Spring Break and decided to eat at The Sugar Factory. Food good and our server was excellent, however overall staff service and attitude including management was not good . That said they comp'd the meal on complaint, but got impression this place is based on people (celebrities) who have visited and management not interested in joe public and customer service. Service was fantastic. Everything you would expect! Server was kind and friendly. Food came out quickly and was as described. We loved the atmosphere and the food and drinks were amazing!!! We will be back for sure!! Excellent service and excellent food. We went 2 days in a row. 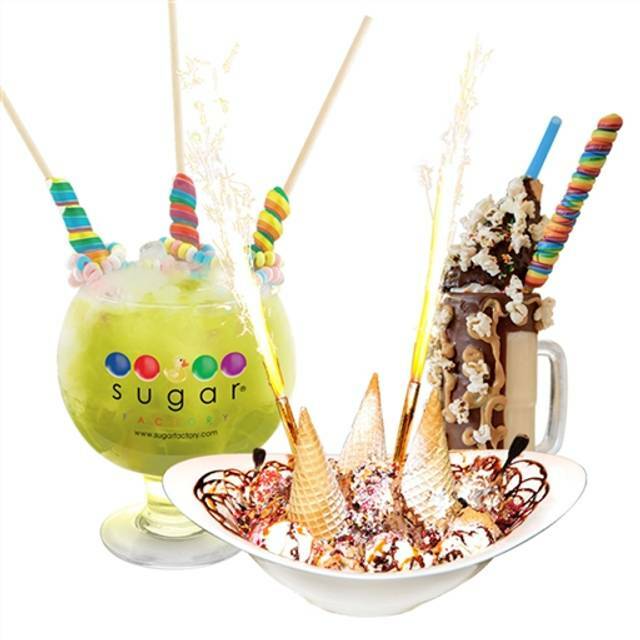 Our first time at The Sugar Factory and we had a fantastic time! Our server, Ashley, was wonderful, pleasant and very helpful when answering all of our questions. 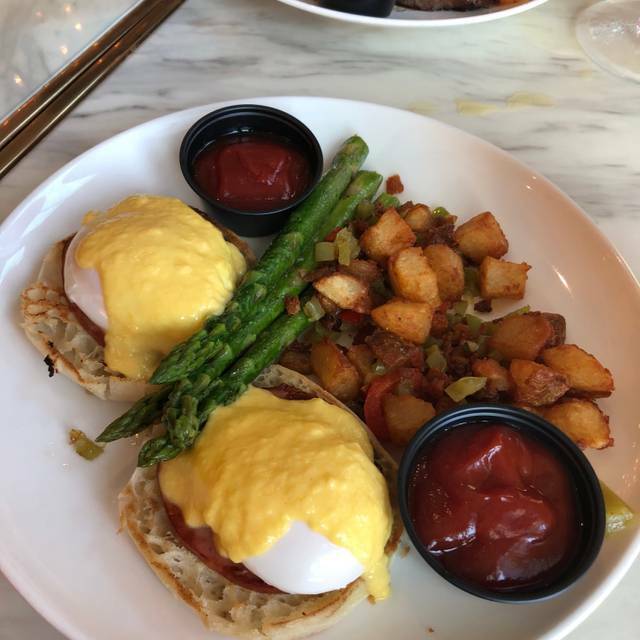 We had the Banana Crepes and the House Eggs Benedict. Both were out of this world. Thanks again for a wonderful time. We'll be returning. Daniel was an amazing bartender. He helped to make my birthday special. The food was great and the environment was definitely fitting for Vegas. The only issue was that it took 45 minutes for a waiter to take our drink order. Even then, we had to ask them to take our drink order since we had not been helped. 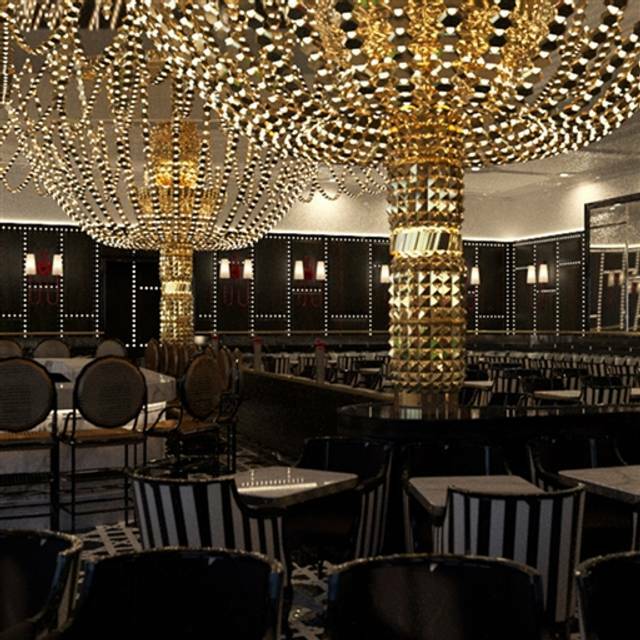 Besides that incident, the restaurant is definitely a fitting environment for all sorts of celebrations and is a definite go-to while traveling to Vegas. Our server was fantastic, took my boyfriend for his first time in Vegas. He loved it! Very fun and awesome desserts. They were very busy and took a little time to serve us but then everything was good. I loved everything about the restaurant. The staff was so wonderful and food was amazing!! Absolutely the best time was had by all people in the party. We had a great time and our waiter Chaz was fantastic. The memories will always be remembered. The Goblet Drinks were delicious, but the food was just ok. I will only come back for the drinks, and maybe a appetizer. The Groupon makes the Goblet Drinks a good deal. The appetizer sampler was great. The only thing i didn’t like was the size of the glasses of soda. They need to get bigger glasses especially for $6 ! Overall the food and atmosphere was great! Food was definitely good, but the service was awful. It was our first time and the server did not explain the menu nor potion sizes. We ended up with 4 chicken and waffle plates and 9 pieces of chicken and 6 waffles to go, and we couldn’t warm up out food at our hotel so we wasted money. Our server was not attentive at all, she checked on our table like twice during our hour and a half visit. When we asked for draws and other items, she didn’t bring enough for the table. We spent way more money than necessary. The food was delicious though. Fabulous service, food was perfect! Waitress and Management team ensured my table was perfect! Thank you! Am recommending everyone i k ow to go there! Everything was very good, we were in town for a volleyball tournament and the girls enjoyed them self. Such a fun atmosphere! This is a MUST when you are in Vegas! We will definitely go back! A sweet 16 birthday party for our daughter. The place was packed with prom guests and tourists, and curious on lookers. The food OK, unique entrees, and special desserts. Over our party had a good time. Our hostess, Sierra did a good job, but was busy as well. Would I recommend going back? Yes, and I would recommend it as well to others, yes. Expensive yet delicious. Wish they had more locations. Overpriced, and full of tourists. As a local going for a birthday treat for my daughter, I felt out of place. Ice cream treats were expensive but tasty. Brownies squares on the sundae were somewhat dry. I like my brownies soft and moist. The fudge on the outside of the glass of the shake was delicious. Because of the price I probably won’t go back. Food was on point and very creative drinks. Plus bumping some old skool jams during brunch hours was the S#%×! Ruined my wife’s birthday dessert by bringing out the wrong one since he didn’t write it down. And still charged me the extra $5 for the candle. Not happy. It was a fun experience. I would definetly return to try more dishes and milk shakes! It’s a great place for a one time stop. The treats didn’t taste homemade, shakes were good but cool whip, really?! I ABSOLUTELY LOVED MY EXPERIENCE AT THE FASHION SHOW SUGAR FACTORY!! THE AMBIANCE WAS JUST RIGHT FOR AN EXTREME CELEBRATION OF LIFE...MY MOM TURNED 77 AND WE CELEBRATED LIKE SHE TURNED 17. THE HEAD HOST AND OUR WAITER JADE WAS SO ACCOMODATING AND WENT OVER AND BEYOND TO MAKE AURE ALL 13 OF US WERE WELL TAKEN CARE OF. THE FOOD WAS DELICIOUS AND THE GOBLETS WERE WELL WORTH THE $39. BUT THE MAIN ATTRACTION WAS THE CRAZY 24 SCOOP SUNDAE WITH THE SPARKLERS!!! THANKS JADE AND SUGAR FACTORY FASHION SHOW MALL...I'LL BE BACK AND GOD BLESS!!! The Hill Family vacation was a blast!! !